Tustin, CA — Tustin Police Officer Osvaldo Villarreal didn’t give 31-year-old Benny Herrera more than a second before shooting him dead, an appeals court asserted in refusing to dismiss a wrongful death lawsuit Friday — but the undoubtedly disturbing dash cam video remains under court seal. 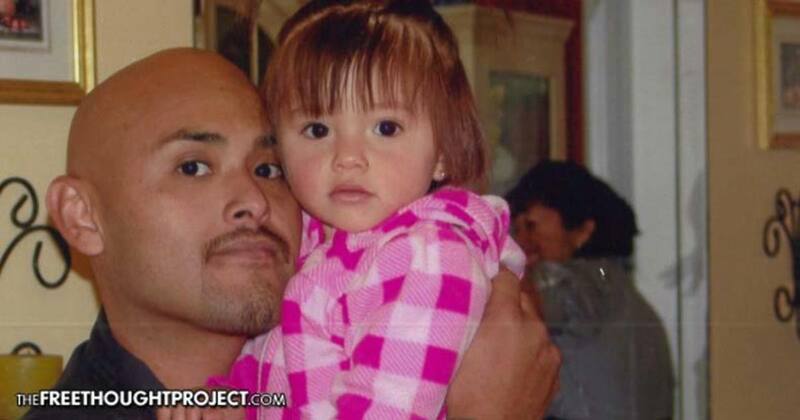 Because he acted so swiftly, a three-judge panel for the U.S. 9th Circuit Court of Appeals in San Francisco found Villarreal could not have reasonably feared for his life — a finding which directly contradicts a 2013 determination by the Orange County district attorney’s office claiming Herrera had ignored the officer’s demands to raise his hands. Villarreal encountered Herrera as he responded to a 911 call made by the man’s ex-girlfriend on December 17, 2011. Hilda Ramirez told the dispatcher Herrera, who had never been violent before, stole her cellphone and hit her in the head, but added he did not have a weapon. Villarreal and Officer Brian Miali were told Herrera might have a traffic warrant and that he was on parole for drug charges — two obviously nonviolent offenses — but when they approached the man in the street, Villarreal nearly immediately opened fire. In deposition, the officer testified he believed Herrera had a weapon in his sweatshirt pocket — despite having received the information the man was unarmed. Both officers, according to Courthouse News Service, admitted they never saw anything in Herrera’s hands. A cellphone was later found in the man’s pocket. “It has long been clear that ‘[a] police officer may not seize an unarmed, nondangerous suspect by shooting him dead,” Circuit Judge William Fletcher wrote for the panel, as cited by CNS. “[T]he traffic warrant and drug possession conviction were relatively minor crimes, neither of which entailed violence or gun possession,” Fletcher continued, “and the dispatcher’s information included a statement that Herrera was not known to be armed. In other words, the fatal shooting is yet another case of a cop so hell bent on using deadly force, Herrera most likely was in the act of complying when Villarreal gunned him down. Villarreal had thus far claimed qualified immunity should prevent the civil rights lawsuit filed in 2012 by Herrera’s family and four children — all under the age of seven — from proceeding. Disturbingly, the Orange County district attorney’s seven-page review of the fatal shooting, according to the Times, did not cite or mention the existence of perhaps the most crucial evidence: dash cam video — but appeared to rely almost solely on Villarreal’s statements about the incident. Further, “Sonia Balleste, the senior deputy district attorney who wrote the review, said Friday she didn’t immediately recall the case or why the review didn’t mention the video but that she was sure she ‘looked at all the evidence that was available,’” wrote the Times. “As a general practice it wasn’t my custom and habit to write down everything I looked at,” Balleste dismissively stated, adding the review procedure has since been reformed for thoroughness. Tustin City Attorney David Kendig confirmed the D.A. had received the critical video, but had no explanation for why it hadn’t been cited in the review.